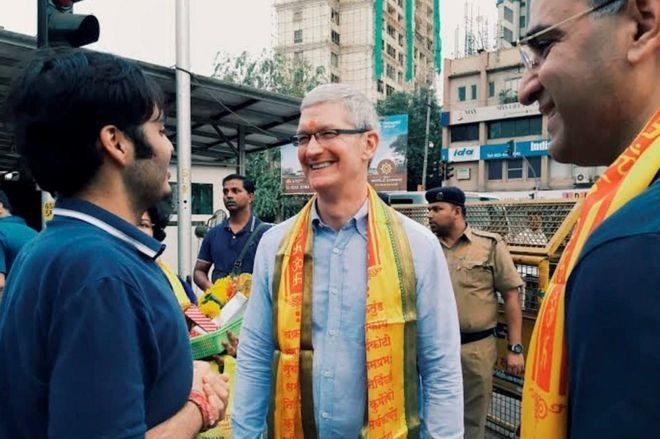 Apple's meeting with Indian government officials on Wednesday —aimed at setting up local iPhone manufacturing —was a "constructive and open dialogue," the company claimed in a statement. "We've been working hard to develop our operations in India," an Apple representative informed Reuters. "We appreciate the constructive and open dialogue we've had with government about further expanding our local operations." Apple didn't provide any more details on the meeting, but previous reports indicated the company was set to talk to members of several government departments about a "wish list" of concessions. These include a 15-year tax holiday on imported components and equipment, and/or many waivers on import duties. Apple's position is said to be flexible however, which may be critical given suggestions that some in Indian government are resistant to offering any special handouts. If the company does get assistance, it could be in the form of industry-wide measures that help rivals like Samsung and Xiaomi as well. Wistron has allegedly been picked as Apple's first Indian manufacturer, and could even be set to help build 2017 iPhone models. If so Apple may not have much room for government negotiations, given the need to start production months ahead of the usual September launch window. Other manufacturing partners like Foxconn could join in later production efforts, but Wistron is allegedly planning to make use of an existing facility in Bangalore, whereas Foxconn has yet to build its first Indian factory. Update: A manufacturing arrangement is "almost a done deal," according to a government source for the Wall Street Journal, who added that the Finance Ministry will "look into" Apple's demands, calling many of them "workable." A separate person, said to work close to Prime Minister Narendra Modi, claimed the government's plan is to "settle with Apple." The Journal noted that Apple's negotiation team was led by a VP, Priya Balasubramaniam, and met with officials in the capital, New Delhi.